Game Of Thrones Costumes Tell Us Everything About The Characters! A brief description on how the costumes in Game of Thrones represents each character accurately. The Amazing Wonder of the Avengers Costumes! A brief description of the new costume designs for the upcoming Aladdin film. A look into Rey's costume and how it symbolizes her personality. 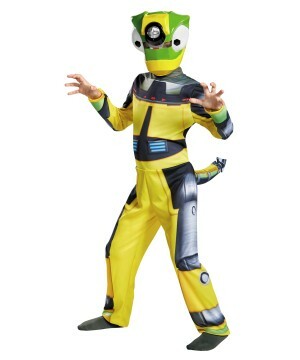 Year 2019 Halloween costumes have arrived at WonderCostumes.com! We're your year round U.S. based costume store, featuring one of the most varied selections of costumes and Halloween products online. New year, new attitude—and new costumes! Browse our web catalog with ease, and check out the hottest costumes and accessories for 2019. 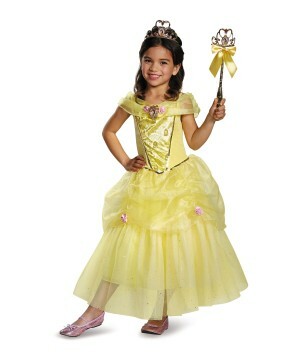 Shop for all ages; anyone—babies, kids, teens, women, men and even pets—can get outfitted by WonderCostumes.com! 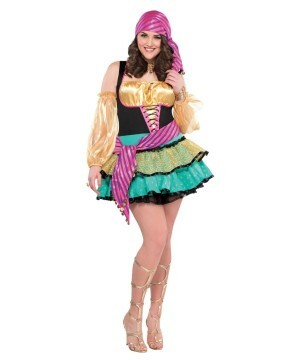 You will be in dress-up wonderland when you browse our giant catalog of costumes, kits, and accessories perfectly suited for any costume themed event. We dress up people across the world, from Halloween enthusiasts to serious cosplayers and theater professionals. Attending a notable costume convention or festival? Wear the best quality attire that the costume industry has to offer. 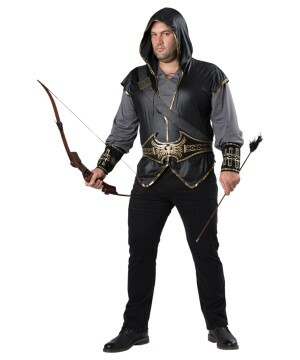 We have a serious collection of deluxe costumes for cosplay, comic and anime fan conventions, renaissance fairs, regional festivals and carnivals. Our collection of 16th century Renaissance costumes can be seen in popular events across the world—from our home state's very own Florida Renaissance Festival to masquerade carnivals in Venice. Locally, we help individuals attending the Florida SuperCon showcase their costumes in Miami Beach, FL. You can also get a peek of our lively jester costumes and masquerades on bourbon street during Mardi Gras! 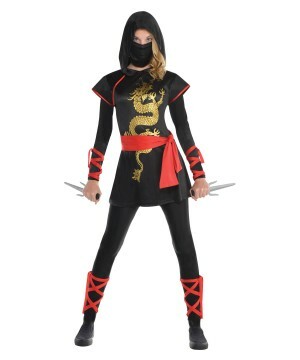 We are a costume hub for everyone! From the proudest steampunk and cosplay geeks to the hipster raver kids. If you are in need of neon fluffies or outrageous masks to complete electronic music festival costumes, we are your EDM outfit shop. Being located in the heart of Miami, we have developed rave costumes that celebrate the PLUR mantra for anyone attending our city's very own Ultra Music Festival. Even if you are not attending a world renown event, Wonder Costumes can be the solution for your costuming needs. Every day of the year, there are costume theme parties and holidays to celebrate. Throwback theme parties celebrate the nostalgic decades of our past with costumes—whether it's a 1920s and 30s gangster and flapper party, a 1940s WWII themed event, a 1950s swing dance-a-thon, a 60s hippie reunion, a 70s disco night, or an 80s retro flash dance bash—we have various options per category capture the past. If you are in need of an elegant costume for a special costumed gala, you will find our Victorian dresses, princess gowns, and Roman or Greek costumes to be the perfect fit. Halloween is the costume industry's life source. 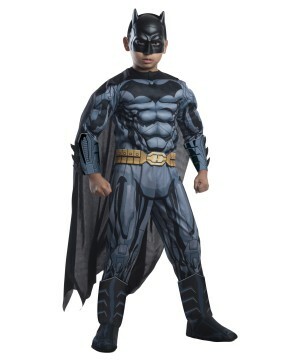 Every year, WonderCostumes.com adds thousands of Halloween costumes, accessories, props, decorations and party goods to prepare for the monster sized Halloween season. We have everything you need for haunted houses, zombie walks, Halloween parties or just plain old trick-or-treating. 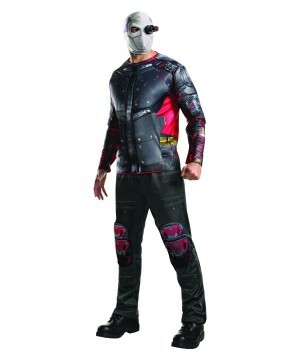 There are scary costumes for thrill seekers as well as family friendly alternatives. Among them are costumes from hit movies and TV shows, video games, sports teams, superhero comics and fairy tales. We proudly hold a complete arsenal of Disney costumes that includes princesses and animated characters from movies and classic stories. 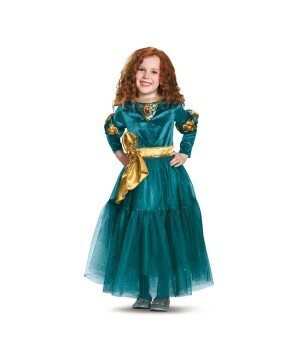 Get costumes of any character from original Disney princess films, Disney-Pixar animations and Disney channel originals like The Descendants and Jake and the Never Land Pirates. 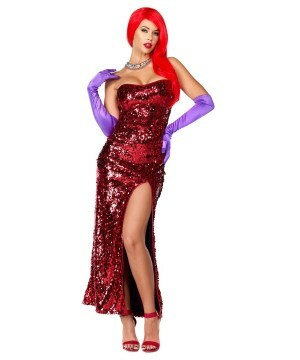 Other Halloween favorites include officially licensed costumes from all the installments of Marvel's superhero films (Avengers, Hulk, Captain America, Iron Man, Spider-Man, Ant-Man, X-Men, etc), DC Comics Films (Batman V Superman costumes, Aquaman, Wonder Woman, Flash), CG films like the Minions and the recent Peanuts Movie, blockbusters like the Hunger Games movies, Lucasfilm classics like Star Wars and Indiana Jones, and others like Alice In Wonderland and the Wizard of Oz. 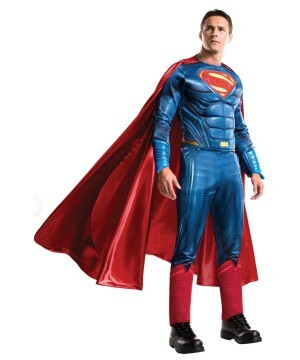 WonderCostumes.com is your online Halloween superstore! Holidays very special at Wonder Costumes—all of them! Following the Halloween craze, Thanksgiving costumes take their rightful place. You will find anything from a full turkey outfit to a traditional pilgrim or Indian costume for this special American tradition. In December, the holidays are certain to call for extra special outfits that bring joy to the world. Christmas costumes like Santa suits, elf outfits and snowmen are all the buzz. Then, starting early in the year, we feature love-inspiring Valentine's Day costumes that bring lovers together. In March, we celebrate St. Patrick's Day with Leprechaun costumes for bar crawls and St. Patty's potlucks. However, March is not alone; Purim and Easter follow, and so does the demand for Easter bunny costumes and religious themed garments for school recitals and biblical plays. On the 4th July, when we help America celebrate Independence Day with classic Yankee, Uncle Sam, Lady Liberty costumes, and other U.S. flag outfits and accessories that show your patriotic spirit. Celebrate all the holidays joyously with our diverse collection. 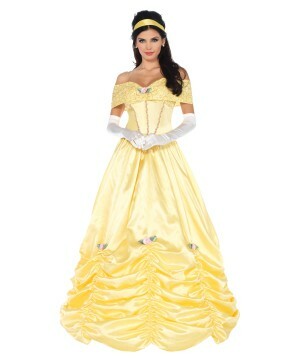 At WonderCostumes.com, you will experience personalized customer service, expert support, and secure online shopping. We highly value your business and appreciate your confidence in us to meet your expectations. Our #1 priority is that you enjoy a quick, easy, and hassle-free shopping experience. Our user-friendly online store and our expert cast of considerate and responsible representatives will make sure your transaction runs smoothly and reliably. With years of experience in the industry, Wonder Costumes has earned the reputation of being a trustworthy site, committed to customer satisfaction and privacy. Be sure to check out our daily promotional offers and Halloween coupons! Enjoy free U.S. shipping for purchases over $60 anytime! 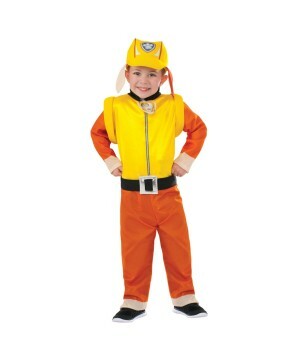 With Wonder Costumes, you will always have the safest shopping experience through our secure website . For your convenience, we also offer Paypal Checkout and Amazon Payments! Should any questions or concerns regarding your order arise, please call us at 1-800-288-9916 Monday to Friday from 10:00 AM to 6:00 PM (EST) or locally at 305-253-5380 (for Miami and South Florida shoppers). If you prefer to communicate by e-mail, please feel free to write to us at info@wondercostumes.com and you will receive a quick reply. We look forward to hearing from you. We are a costume company based in the U.S. and located in the Kendall area of Miami, Florida where we serve local community. However, our e-commerce business serves the U.S. and the entire world. We ship promptly to most international destinations, including any APO, DPO and FPO locations. For your convenience various shipping options are available to guarantee delivery by a specific day. Otherwise, our economic flat shipping rate will still get your items delivered efficiently and safely. We cater to special event planners and organizations including, but not limited to, corporate events, schools, dance programs, TV or film productions, religious centers, and fraternities/sororities. Please to contact our customer service for more information. You can be sure that we're always here for our Wonder Customers!